Preet Bharara said he is very proud of his Indian heritage. 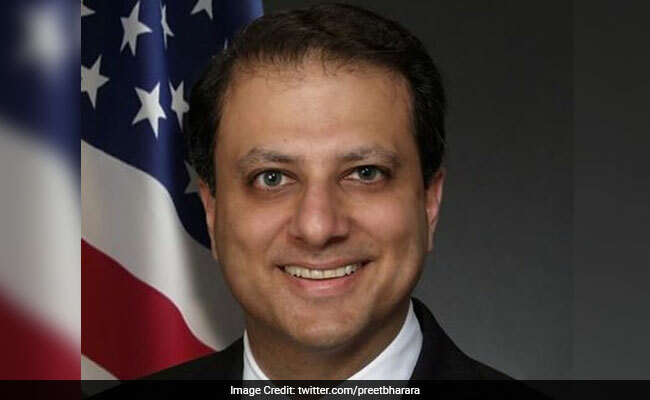 New York: India-born former top federal prosecutor in Manhattan Preet Bharara said he is very proud of his Indian heritage which made him more compassionate and tolerant towards other people. Mr Bharara, who was fired by President Donald Trump as US Attorney for the Southern District of New York after he refused to quit, is now a distinguished scholar in residence at New York University's School of Law where he continues working on issues like criminal and social justice, honest government, national security, and corporate accountability. "I am an American, I happen to be an Indian-American. I am very proud of my background, my roots and my heritage. I am a huge Springsteen fan... but I also listen to Bhangra music, which is a kind of Punjabi music," Mr Bharara said during a conversation last week with New York University's School of Law Dean Trevor Morrison here. Asked about his heritage and background has shaped his personal and professional life, Mr Bharara said he comes from a multi-cultural background and his children know about their "Indian heritage and also about being American". Mr Bharara said people would ask him whether his being of Indian heritage and member of a minority group made him more compassionate and tolerant towards other people. "I say I suppose it does. But what has mattered more to how I think about things is not the fact that I am an Indian-American but that I am an immigrant," he said adding that he and his family are grateful to what America has given them. "The first Indian-American US attorney appointed by the first African-American President. That is not a small thing in the minds of some people...So I began to appreciate that," he said.